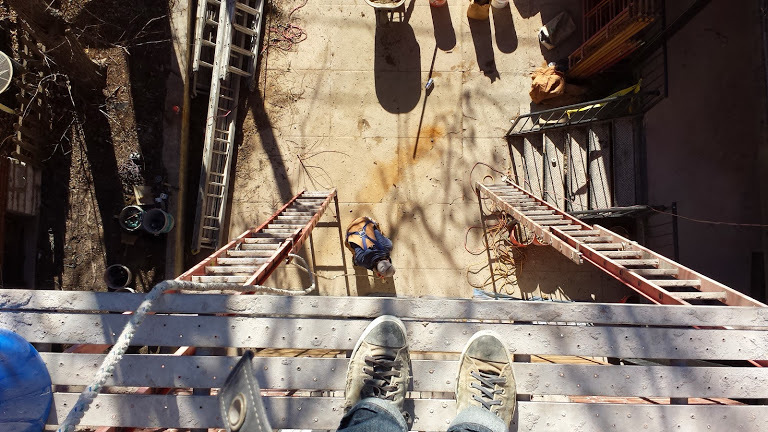 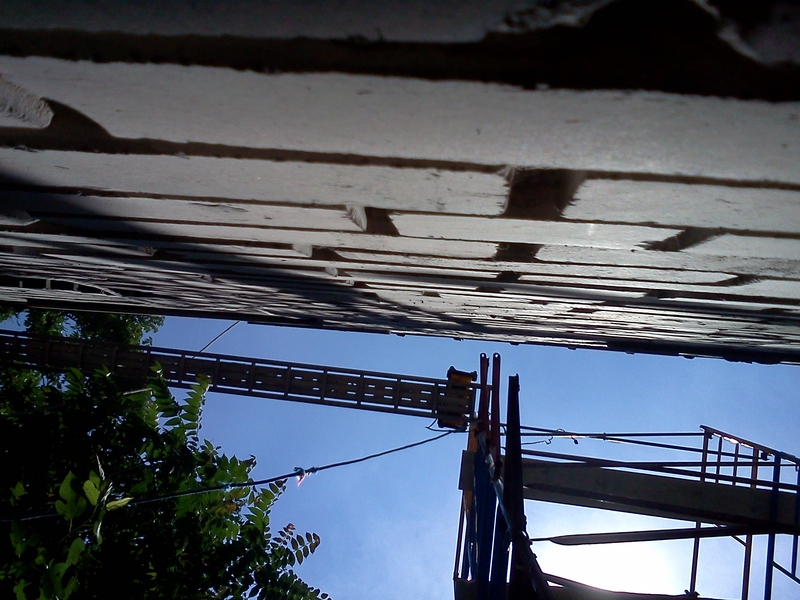 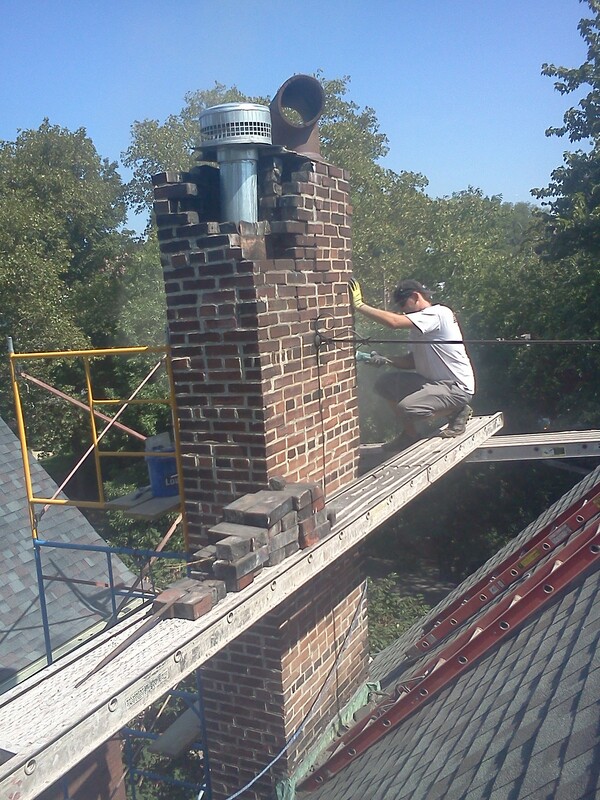 Tuckpointing has it’s highs and lows (literally), Check out some of the high moments here. 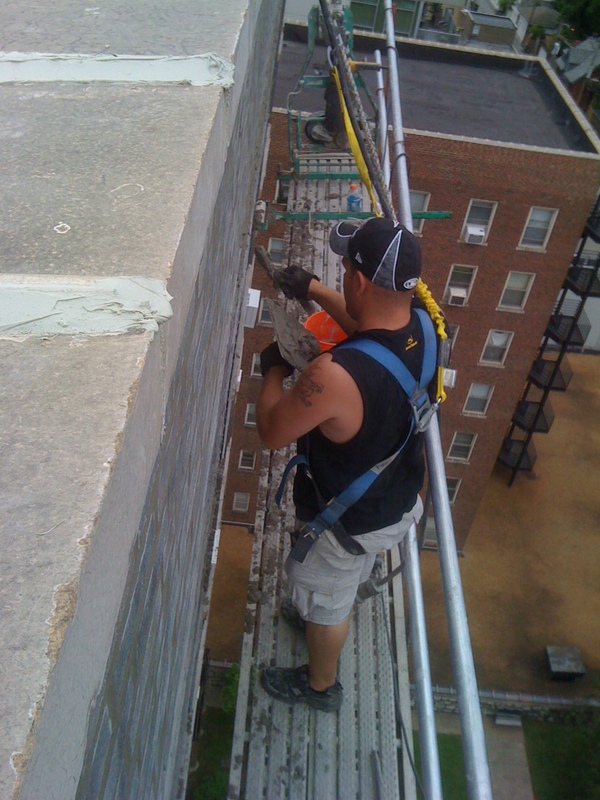 Mostly Spot tuckpointing and some solid sections here and there on the high rises, there’s not much in the sake of finished work to look at here, rather us enjoying our time in the sky. 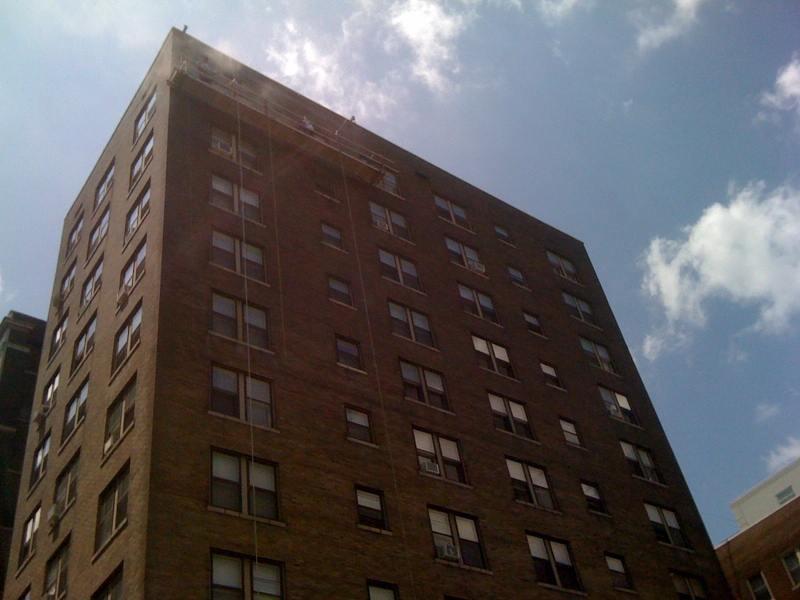 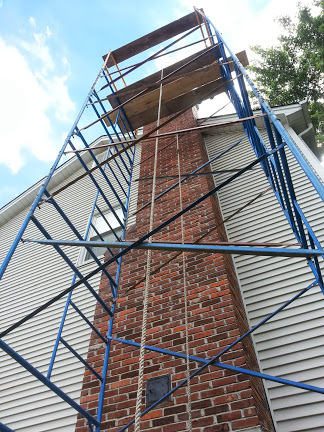 If you have a tall building, chimney or very high masonry project that seems impossible to reach, give us a call, text or email us for a free estimate. 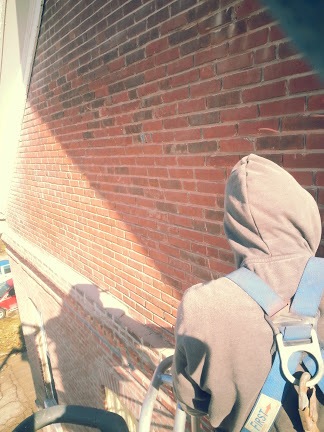 Posted in Project Pictures, Tuckpointing, pointing, re-pointing. 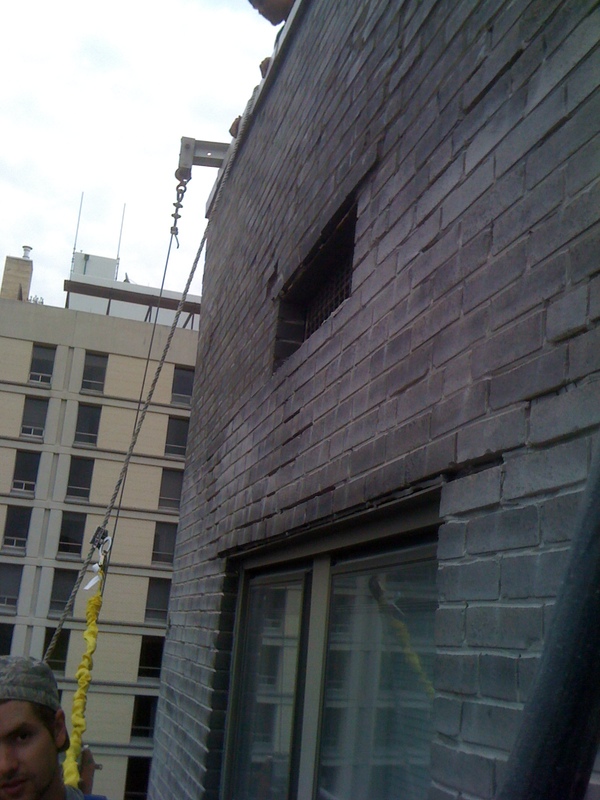 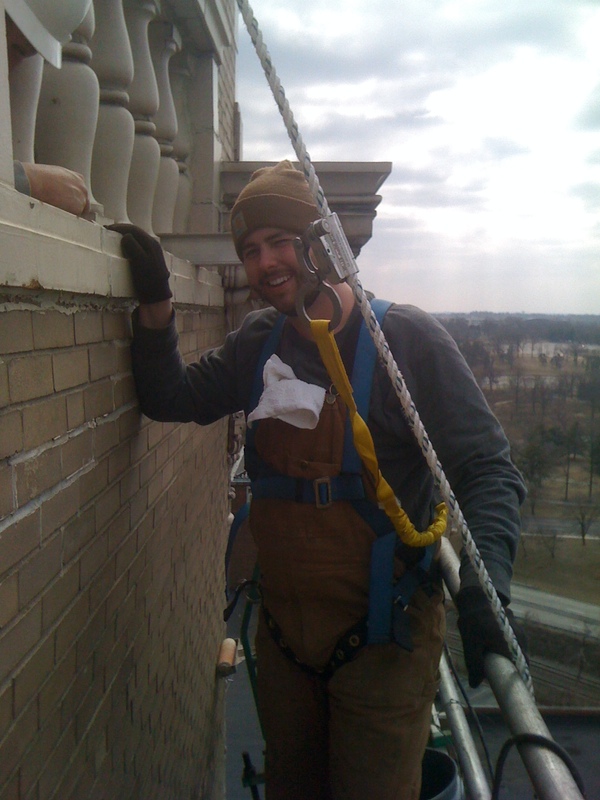 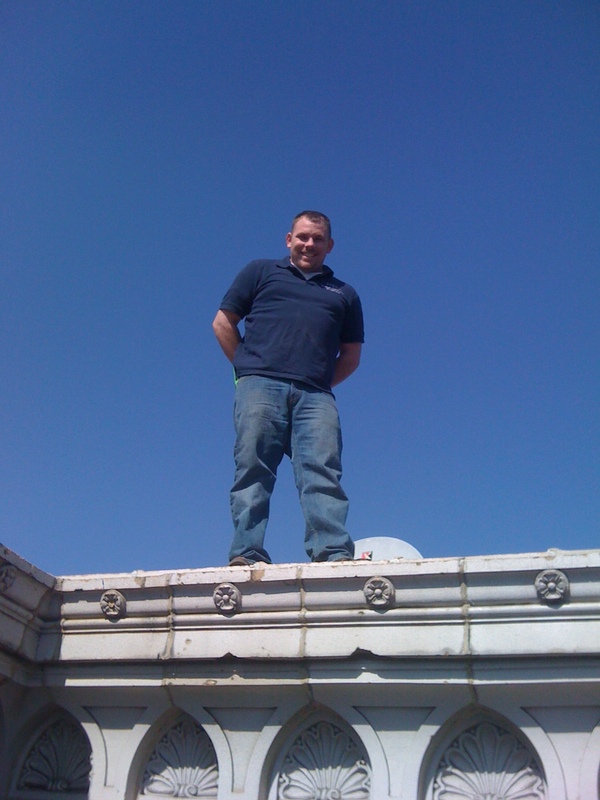 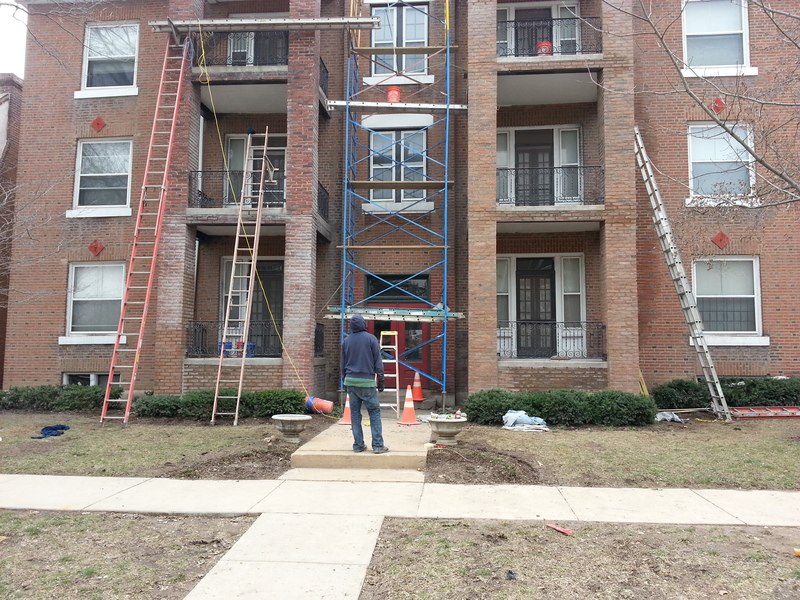 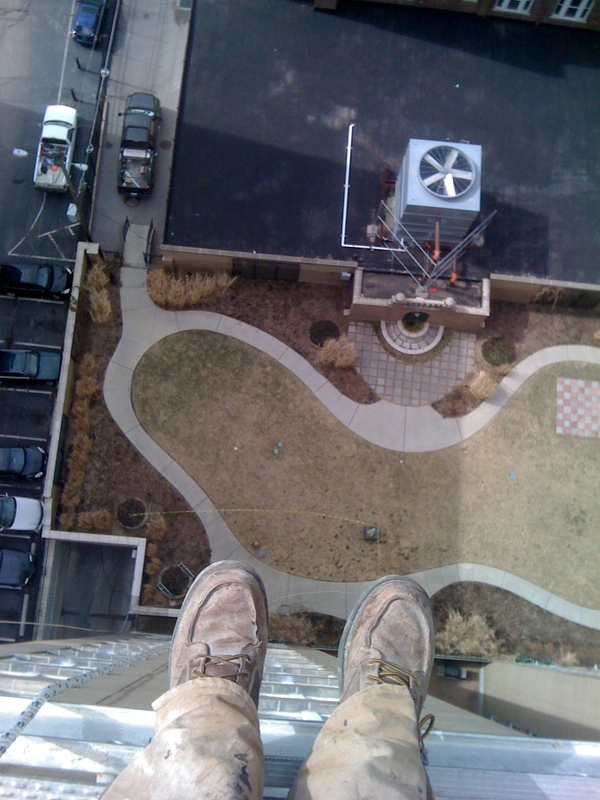 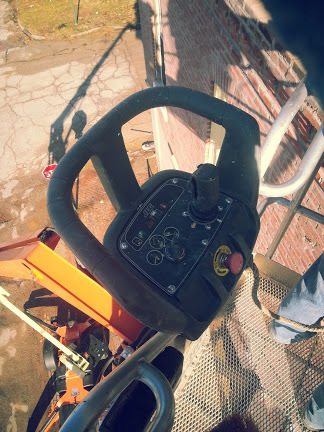 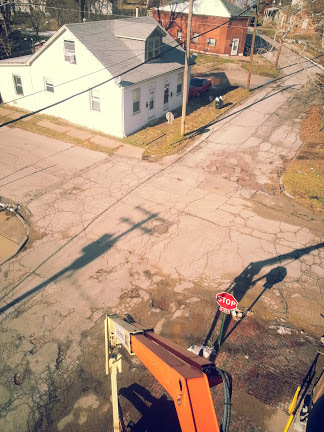 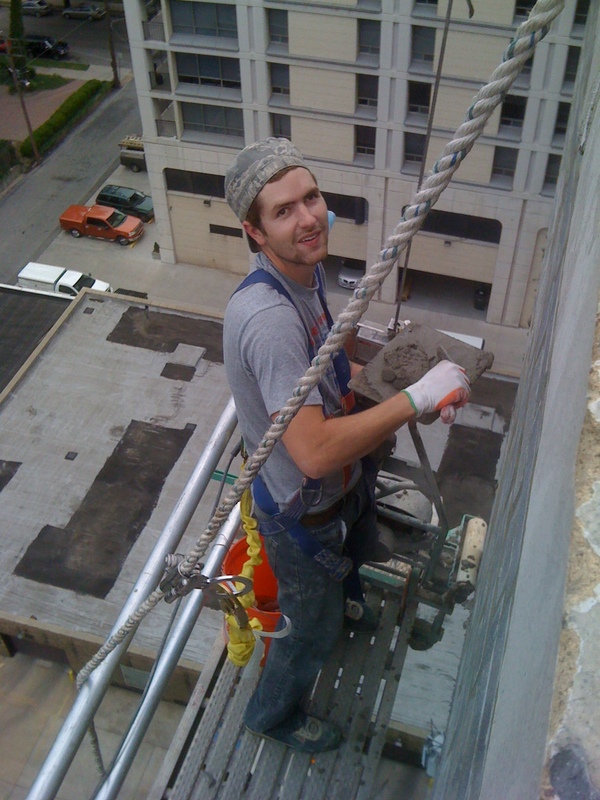 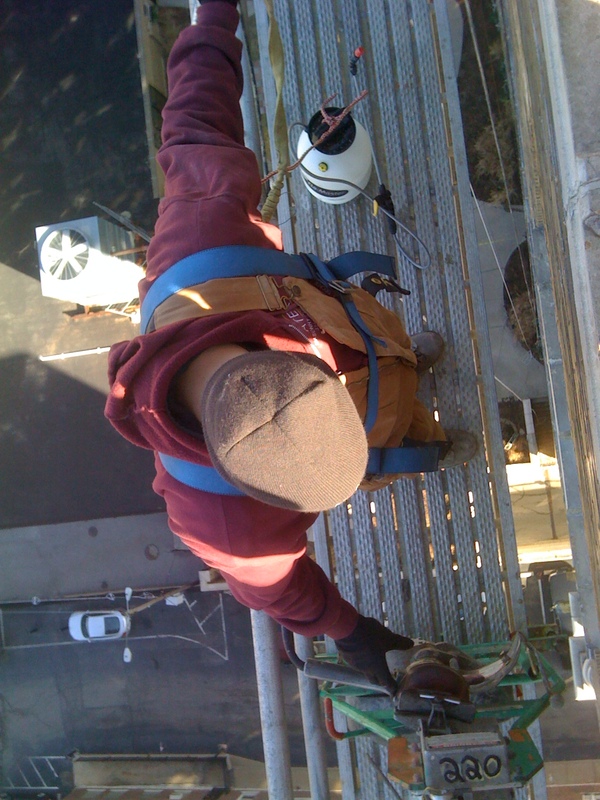 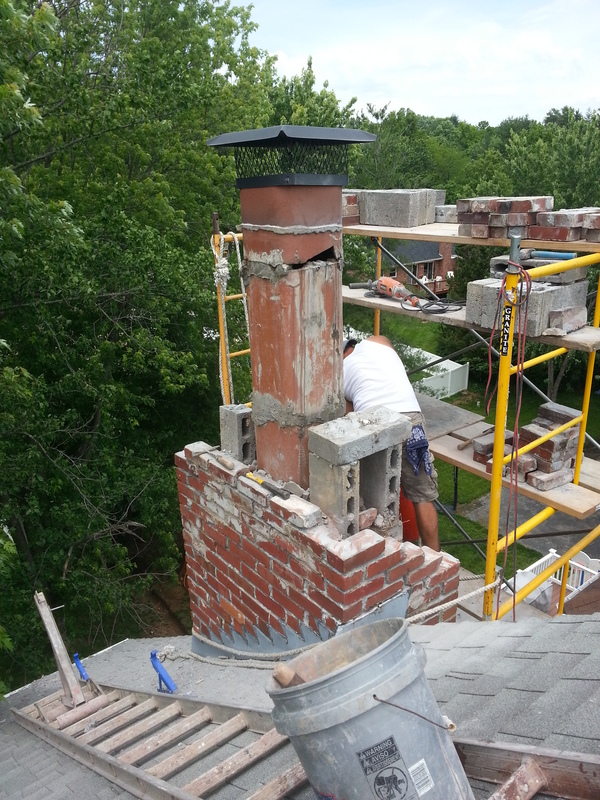 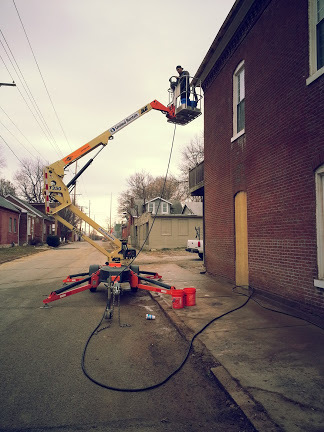 Mortar joint Repairs and tagged chimney repairs, chimney tuckpointing, High-rise brick repair, High-Rise tuckpointing, tall chimneys, Tall places, tuckpointing on March 27, 2014 by Jacob Thompson.